A win on Saturday night would be one of the biggest moments for Amir Khan - not just in his career, but also in his life. "My wife will kill for me this but I have to say yes. Definitely. 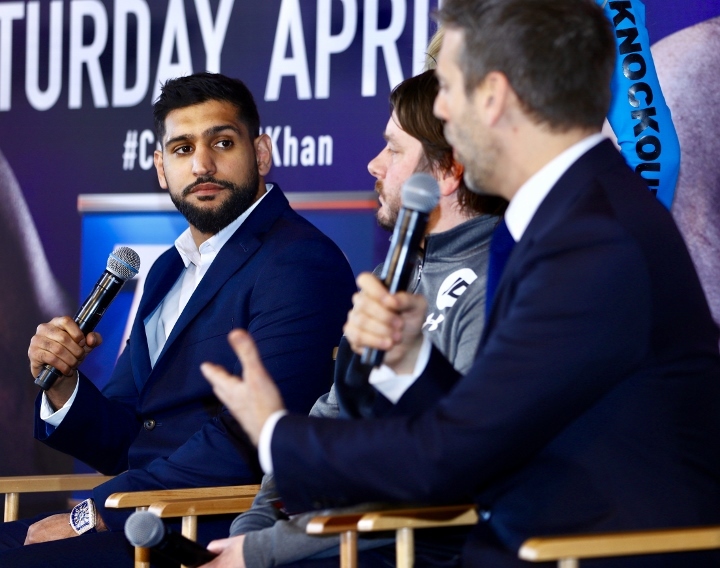 This fight means so much to my legacy," Khan told Daily Mail. 'This will be a fight talked about for years and years to come. I am putting everything on the line and I want this so much. I am an American veteran now, he says. 'I never thought I would have all these fights over here. Nor did I expect to be boxing as long as this. But it's gone much better than I ever thought it would. And now I'm looking for the biggest win of my life." The struggles against Vargas, who recently lost a decision to aging veteran Luis Collazo, made Khan an even bigger underdog - due to the ongoing doubts about his ability to take a good punch.